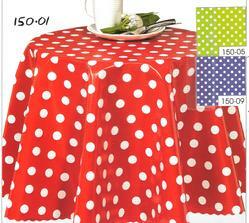 We have found a new source of our popular oilcloth from Turkey. 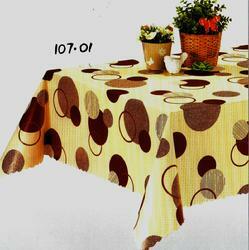 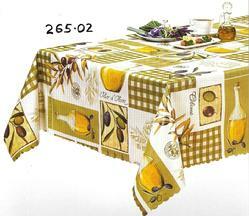 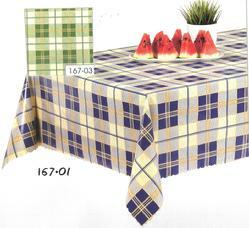 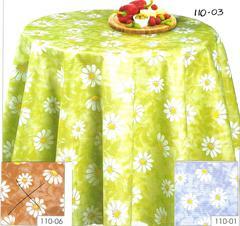 They are of a similar quality to the Italian oilcloth. 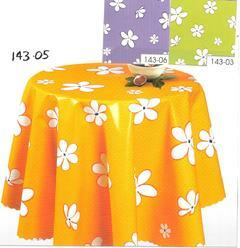 We have about 50 new designs and colors. 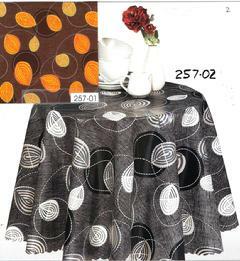 Some really stunning patterns. 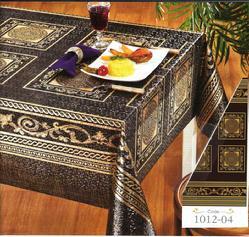 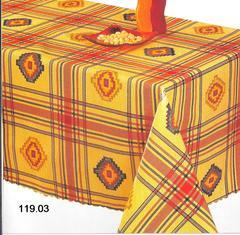 The material is 55 inch wide and can be cut to any length and shape, rectangular, oval or round, customed to your table size. 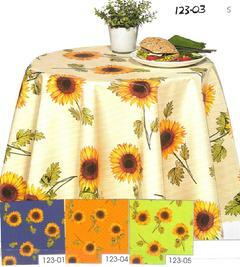 The material is $30 per linear yard. 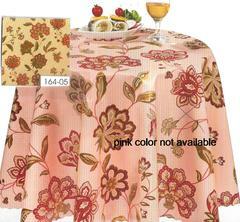 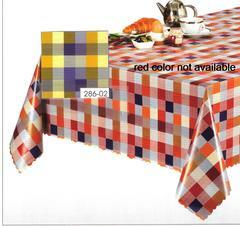 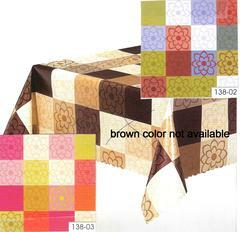 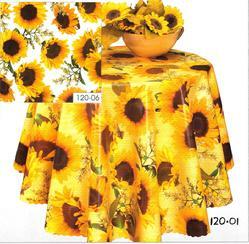 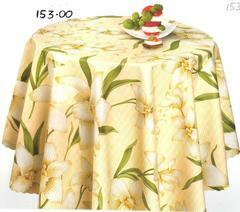 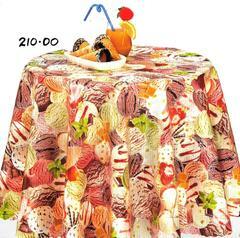 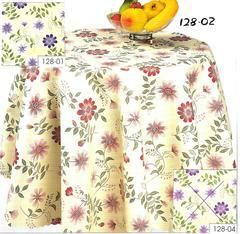 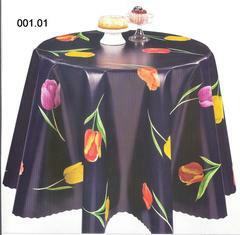 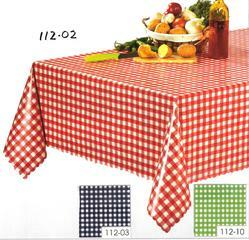 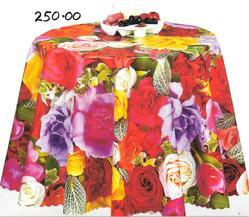 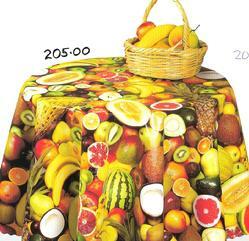 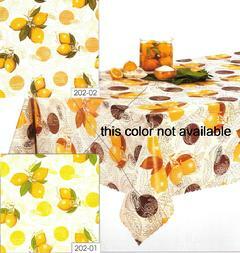 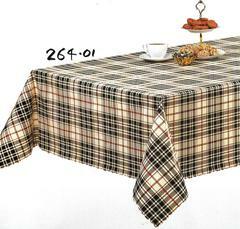 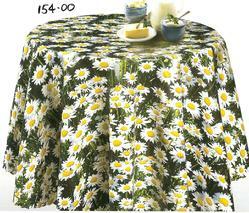 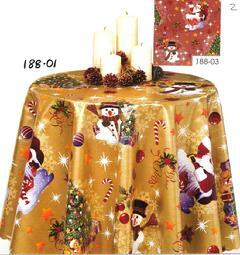 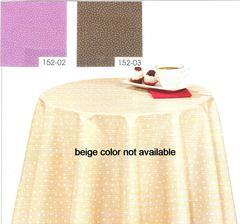 55 inch round tablecloths $48 each. 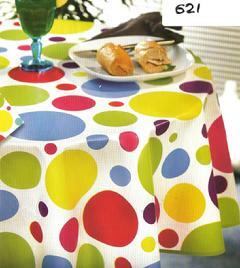 Turkish oilcloth by the roll. 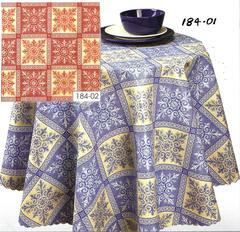 All these patterns are available wholesale as 20 meter rolls. 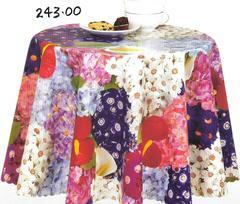 Please call or email for our wholesale prices. 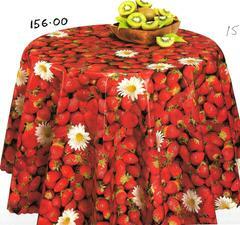 As with the Italian oilcloth these Turkish patterns can be made into aprons ($22 each) and placemats 11"x15" ($12 each), 11" round ($9 each), or any custom size or shape. 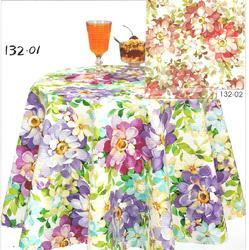 Lavender Blue. 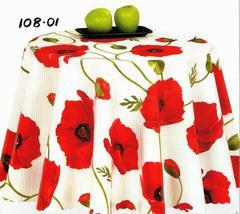 For orders please call Judith at 315 263 7893 or Eileen at 315 727 4923, or leave a message at the shop 315 655 1095.